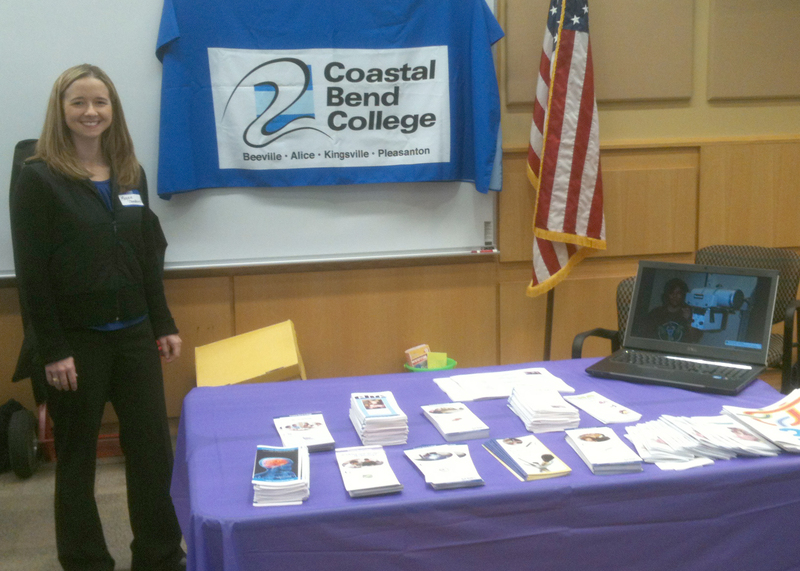 Megan Capeheart, a child development instructor at CBC Pleasanton Campus (standing) and Vanessa Adkins, a recruiter/advisor at CBC Beeville Campus, attended Ferias Para Aprendar, representing Coastal Bend College. 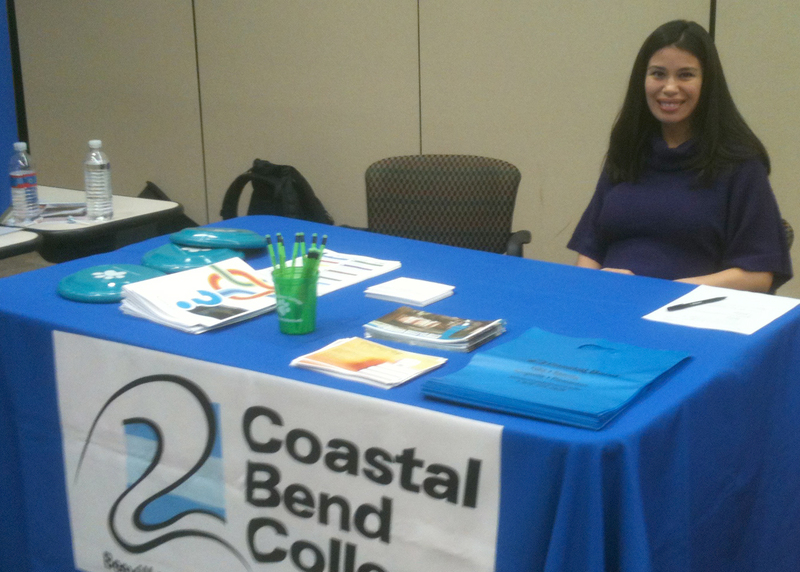 Coastal Bend College recently joined local colleges and businesses at Feria Para Aprendar at Del Mar College West Campus, providing information on recruiting, workforce programs and continuing education. The annual event aims to help parents navigate the education system and help create a college-going culture. Vanessa Atkins and Megan Capeheart represented the college. also called a “Learning Fair,” promotes all aspects of education from early childhood through college and career readiness. The community partnership effort is hosted by Citizens for Educational Excellence and Coastal Bend Partners for College and Career Readiness: Prekindergarten – 16 Regional Council. Over 70 exhibitors from colleges, universities, non-profits, community groups, and school districts and more than 100 educators and volunteers attended the event. About 2,000 parents and children attend the event each year.